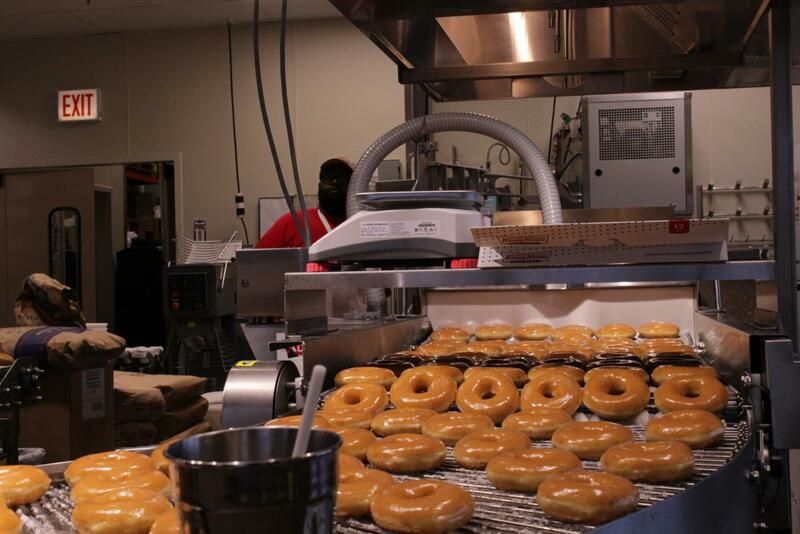 A conveyor belt carries thousands of donuts each day, dousing them in the delicious, well known glaze. With a family favorite opening up only six miles away from Elmhurst IL, York Dukes are amped up about a new go-to hotspot. While Krispy Kreme is known for their unhealthy and addictive food, they’ve managed to cater to a wide range of audiences for many years, carrying on as a family and American tradition. The original Krispy Kreme doughnut shop opened up in 1937 and has popped up all over the U.S. since. Chicago was no stranger to Krispy Kreme until many of its locations closed a few years ago. 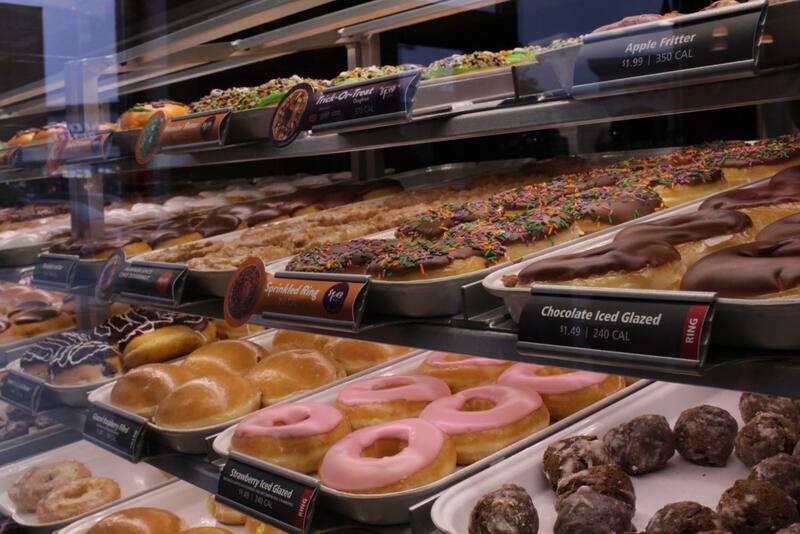 Krispy Kreme displays a multitude of flavored doughnuts made fresh each day. “It used to be really popular around here, but then about 90% of its stores closed down, [but] now they’re starting to come back,” Fisher said. Not only is Krispy Kreme making a comeback in the Midwest, but it’s also working to make an impact larger than itself, hoping to better the lives of patients at Chicago’s St. Jude’s Hospital. Krispy Kreme often holds fundraising opportunities, especially those relating to community organizations, due to their large numbers of profits and their popularity. The extreme amount of donuts made fresh every day certainly helps with generating funds for each organization. With business booming down in Hillside, Krispy Kreme is pushing to keep up with the constant flow of incoming customers by bringing back a friendly name to the Chicagoland area. “Things are going pretty fast, [but] we’re making pretty good business right now,” shift manager David Pineda said. Be sure to head out to Hillside to check out the new Krispy Kreme location, get a doughnut or two, and help out a good cause. 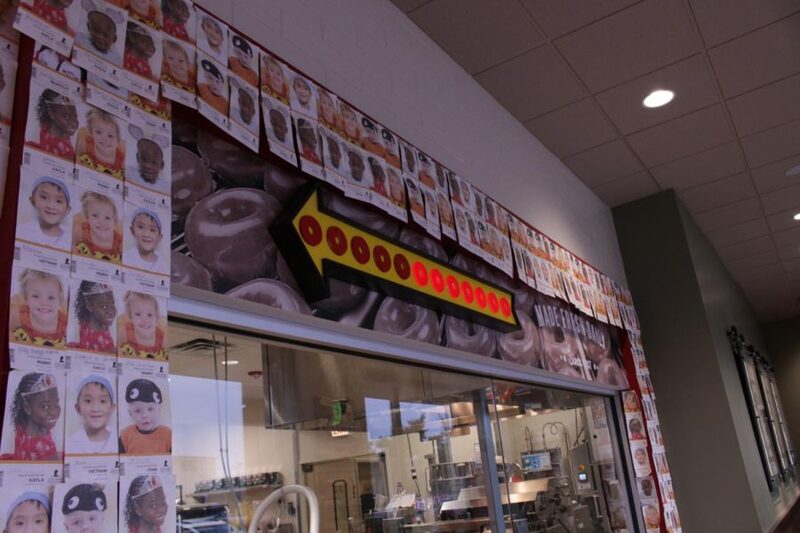 The walls of Krispy Kreme can be seen covered with pictures of each patient helped by the St. Jude's Hospital fundraiser.